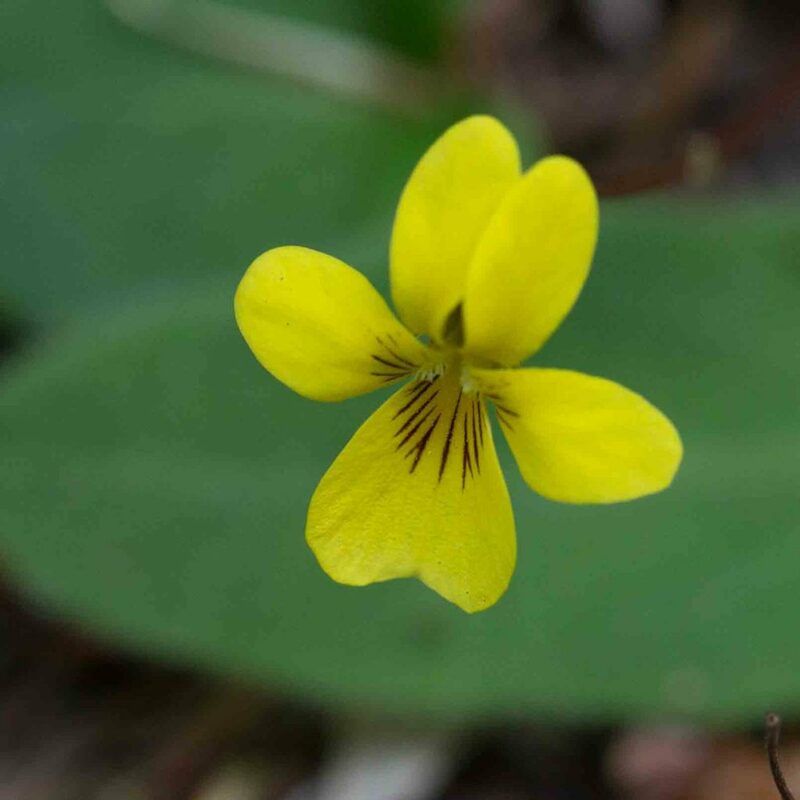 The face of the flower is white; the lateral petals have a purple basal blotch and the lowest petal has a large yellow basal spot with purple veins. 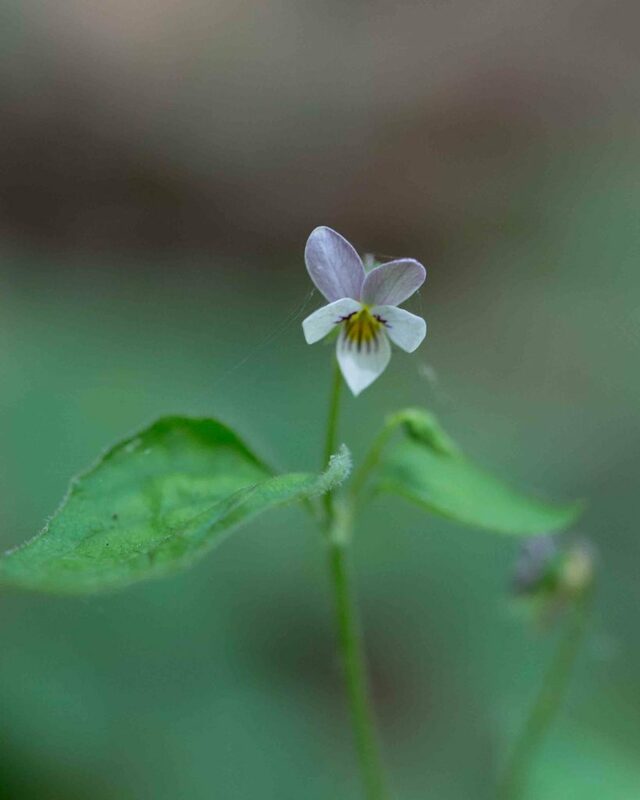 The upper petals are deep red-violet on the back. 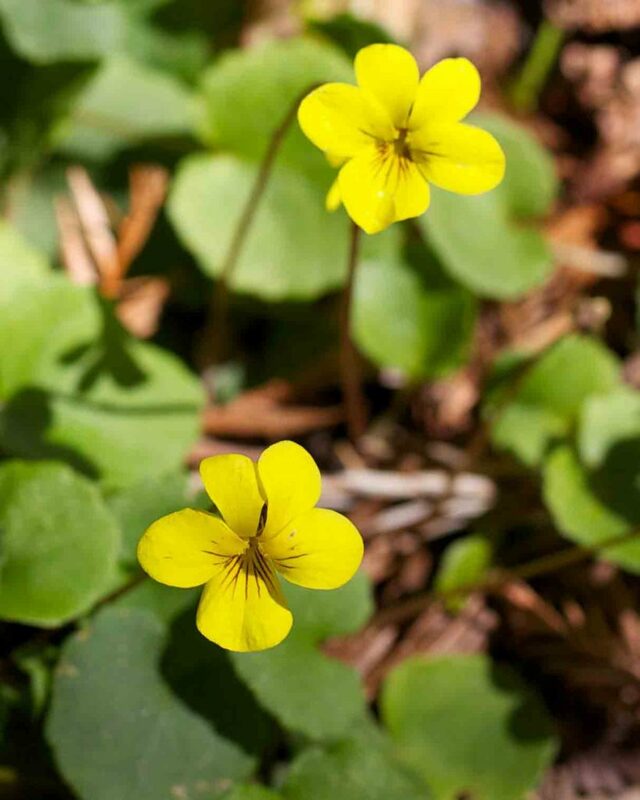 The yellow-flowered violets are unmistakable although sometimes tricky to differentiate from each other. 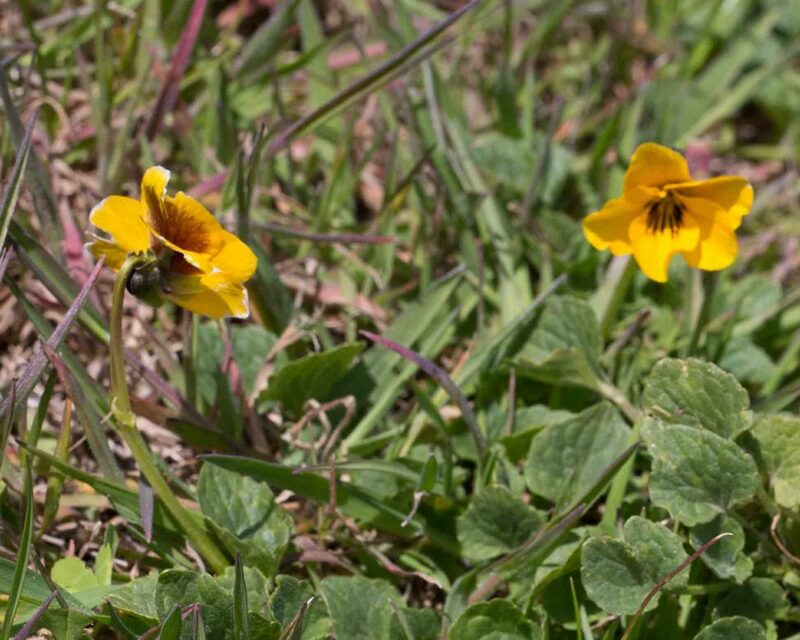 This is most common in open grassland where it can be found in extensive colonies. 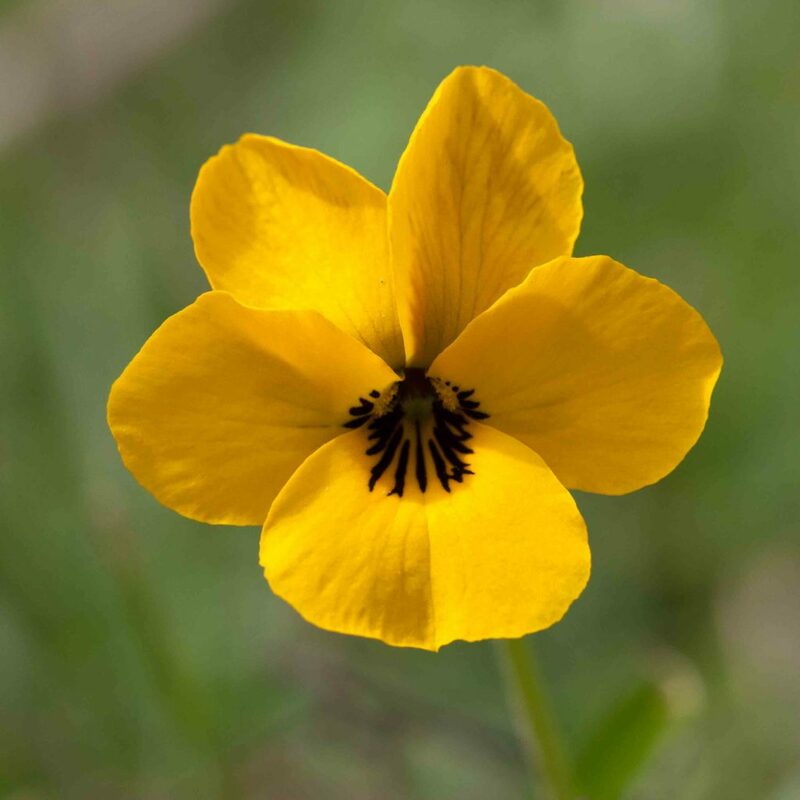 The face of the petals is bright golden-yellow with dark brown veins at the base of the lowest petal and reddish-brown patches on the back of the upper petals. 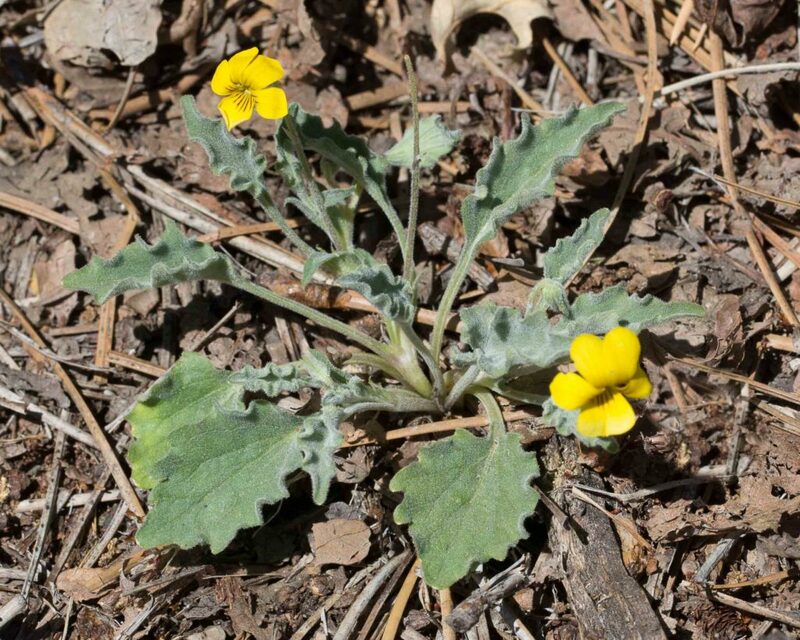 The leaves are cauline (there are no basal leaves), including both heart-shaped and spade-shaped forms. 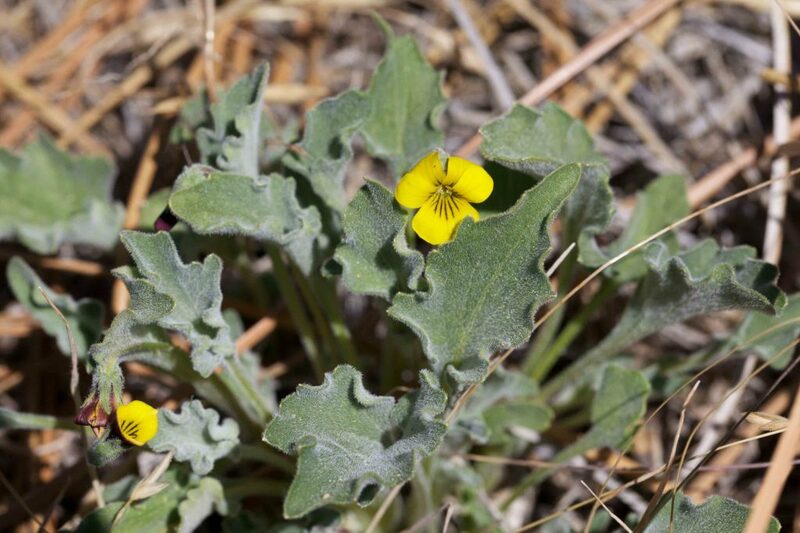 The lowest petals are 10–20 mm long, a little larger than those of the various forms of Viola purpurea. 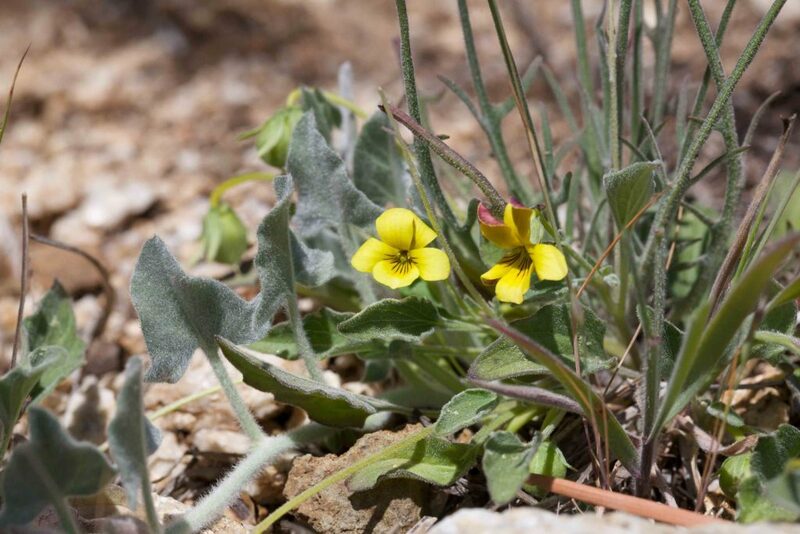 This species is distinguished from Johnny Jump-up (Viola pedunculata) by its paler lemon-yellow and slightly smaller flowers (the lowest petal being 6–16 mm long). 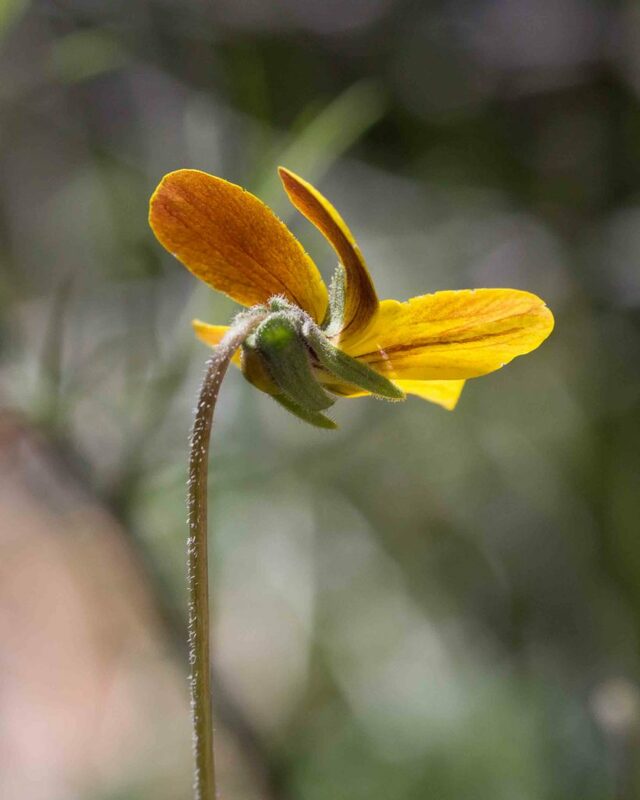 Like Johnny Jump-up, the face of the petals has dark brown veins at the base of the lowest petal and reddish-brown patches on the back of the upper petals. 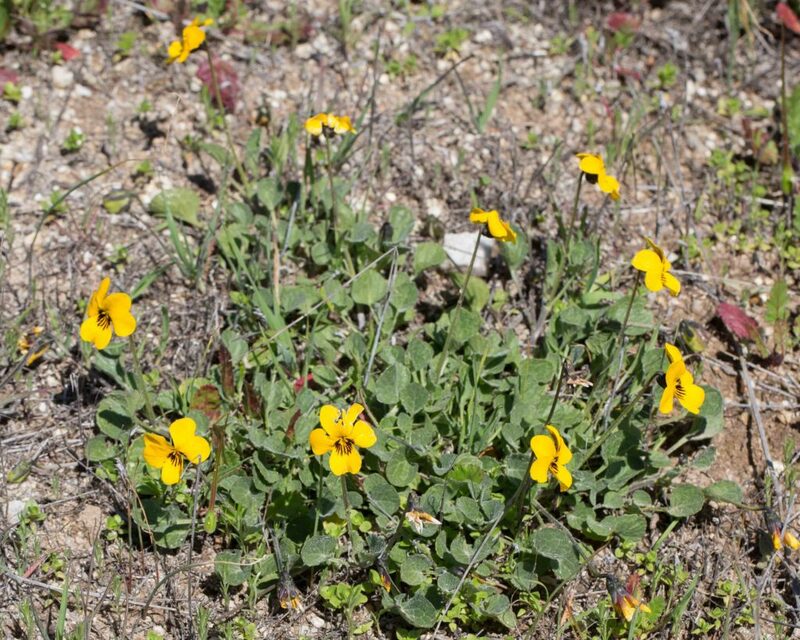 A more important difference is that this species has basal leaves. 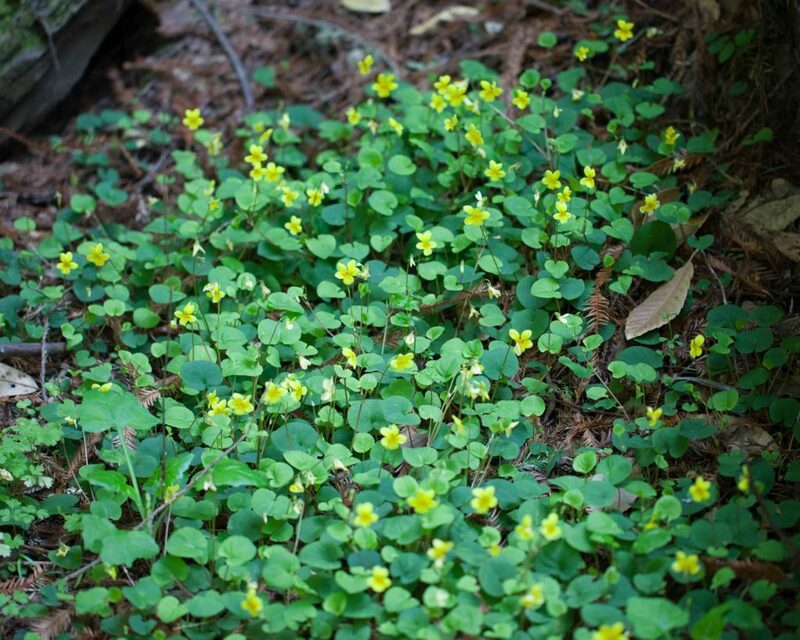 Basal and cauline leaves are different. 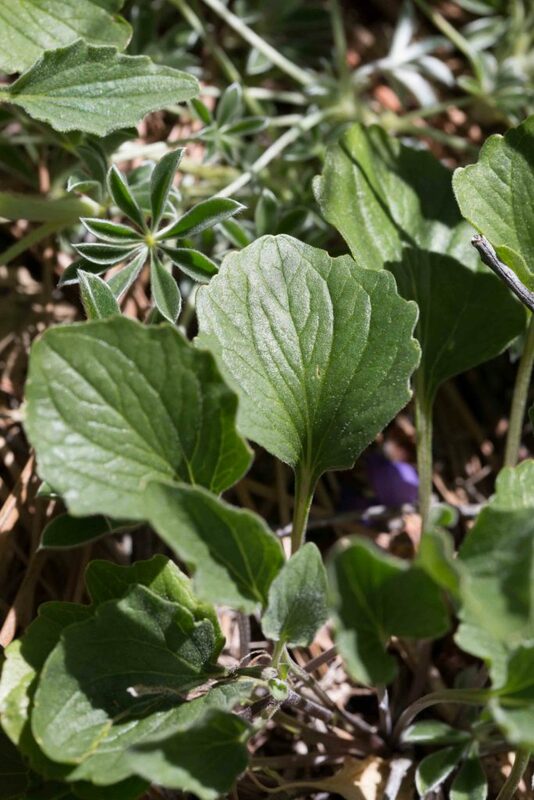 Basal leaves are generally green, glabrous, sometimes shiny above and sometimes purplish below, roundish with a tapered base and acute or obtuse tips. 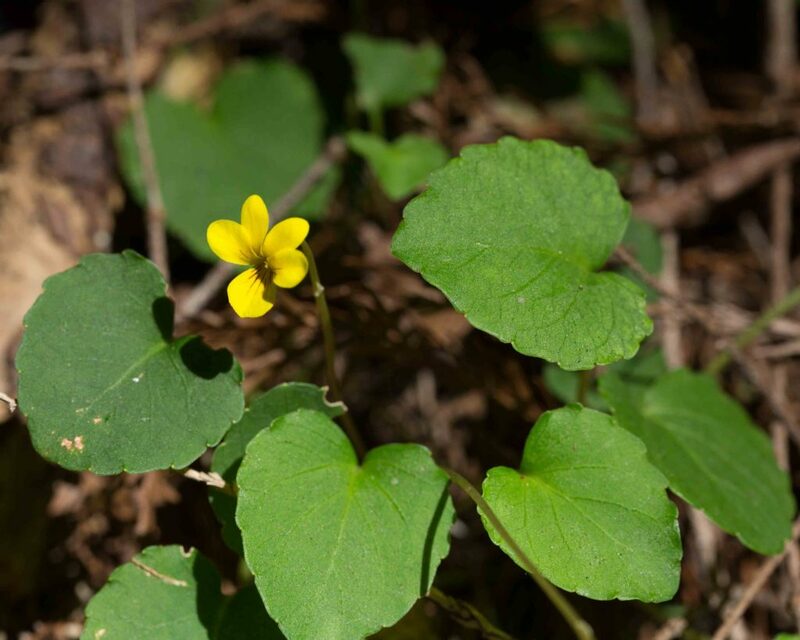 Cauline leaves are lanceolate to triangular with a heart-shaped, truncate or tapered base and acute tip. 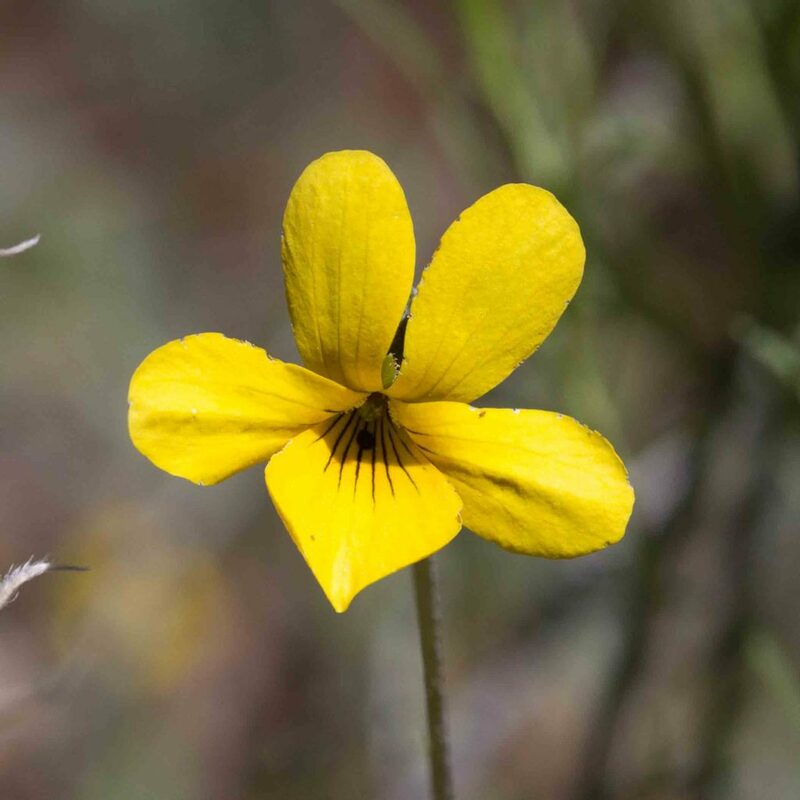 Note: Viola purpurea is a notoriously difficult species and differentiating between the subspecies is challenging even for experts. 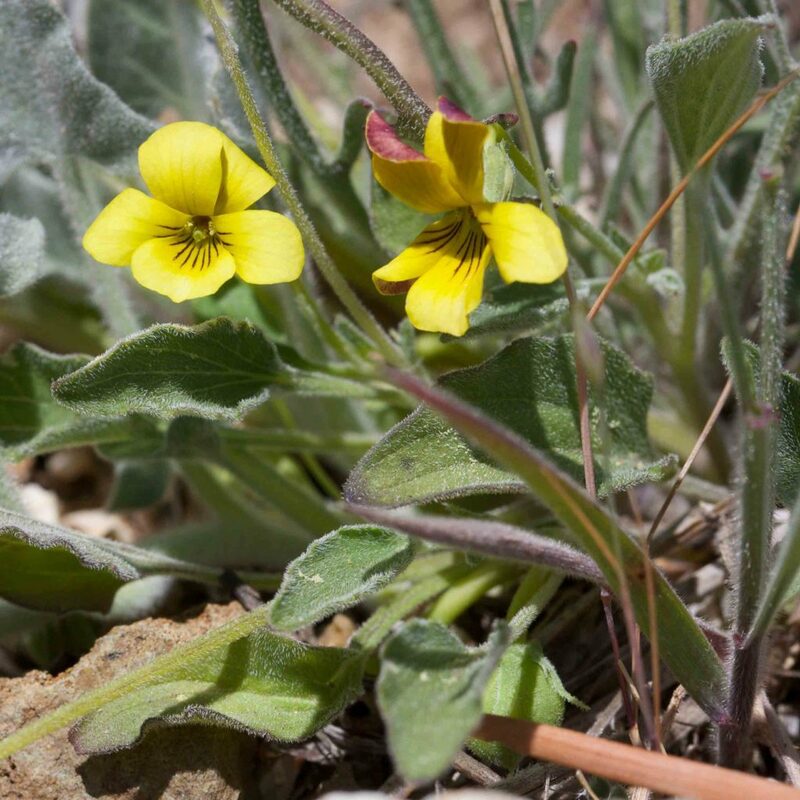 This subspecies is very similar to Goosefoot / Mountain Violet (subsp. 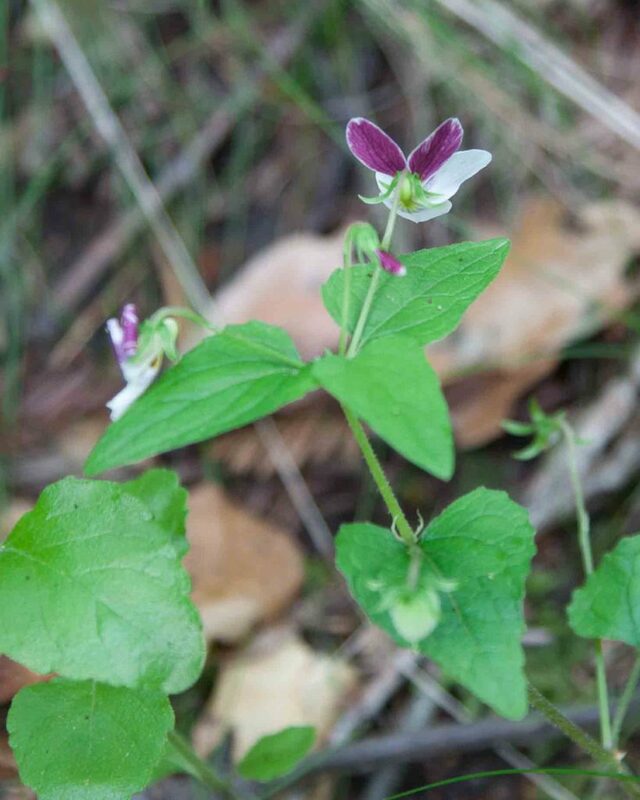 purpurea) except that its basal leaves are gray-green, occasionally purple-tinted below and ovate to round in shape, with a base that is heart-shaped, truncate or tapered and an obtuse tip. 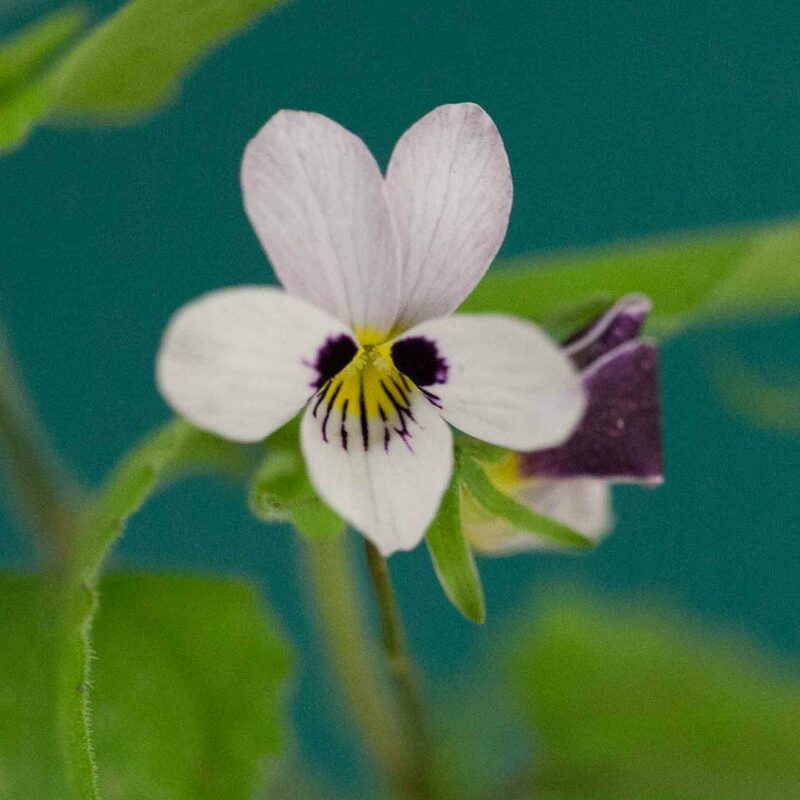 Cauline leaves are lanceolate to diamond-shaped with a generally tapered base and acute tip. 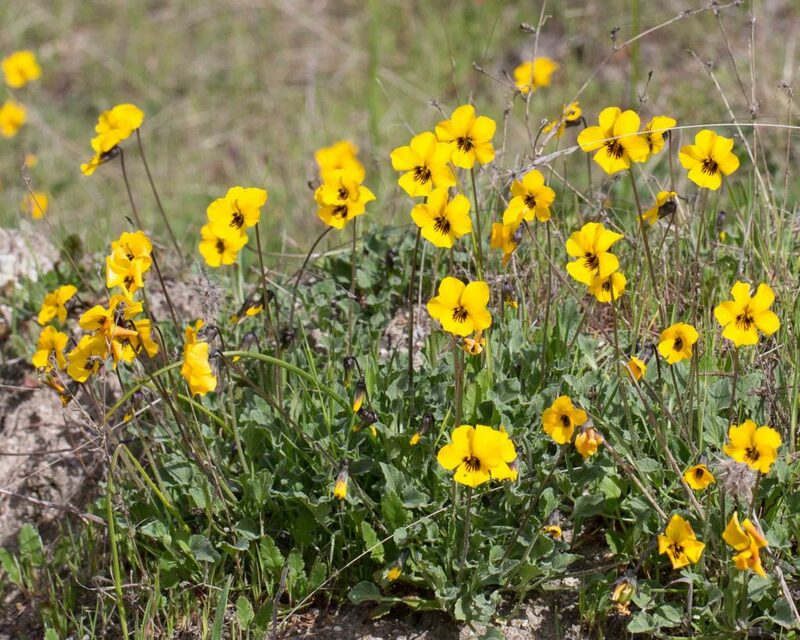 The common name is the best guide as to how to recognize this species. 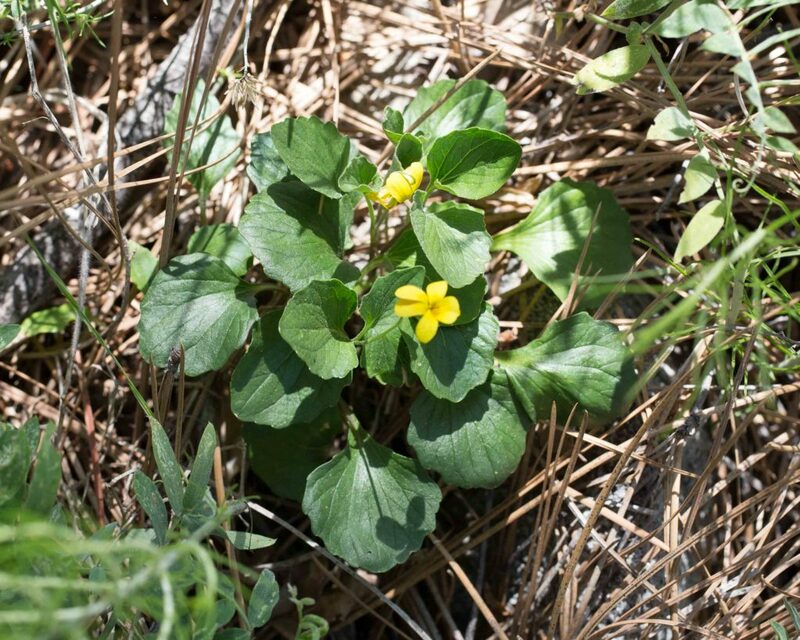 It is however quite distinctive with its green, ovate to round leaves with a heart shaped base and obtuse tips and its pale lemon-yellow flowers.